As Valentine’s Day approaches, you’re probably wondering what you can do differently to surprise your loved one and spice things up. Restaurants are hectic enough, reservations are already booked up, and a box of chocolates strides its own cliché. February 14th is the best day to show just how much you care. Whether it’s showing your love to a significant other, parents, or best friend, a personalized engraved gift is a memorable keepsake one will cherish forever. Coming up with a different Valentine’s Day gift can be a hassle. Too often, we procrastinate planning date night and end up grabbing a bottle of wine and roses on the way home from work. Thankfully we’re here to help you nail V-Day this year with a few ideas to customize the best showcase of your romance. Looking for a quiet night in this year? Grab a classic rom-com, pop open your favorite Chardonnay, and let the good times flow. 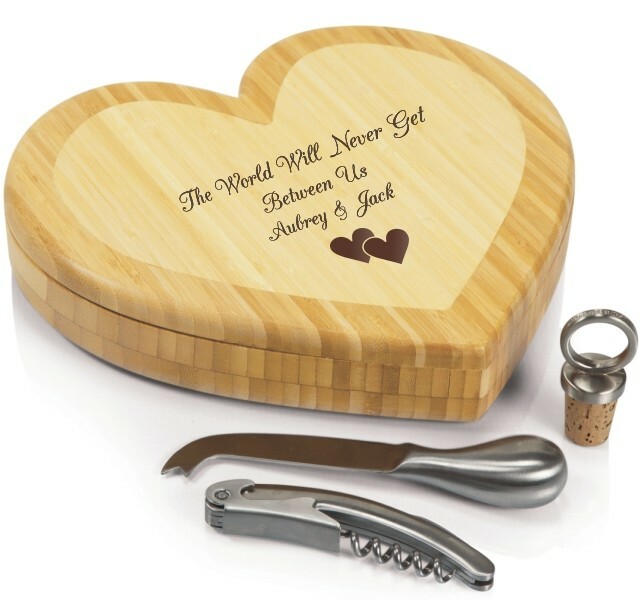 Not a cheesy gift at all, this heart shaped cheeseboard can be engraved with anything from a quote from your wedding song or your anniversary. The set comes with a corkscrew, 1 stainless steel cheese knife, and a bottle stopper. Nothing pairs with celebration better than champagne. Check out this twist on a mimosa to start off your romantic night! 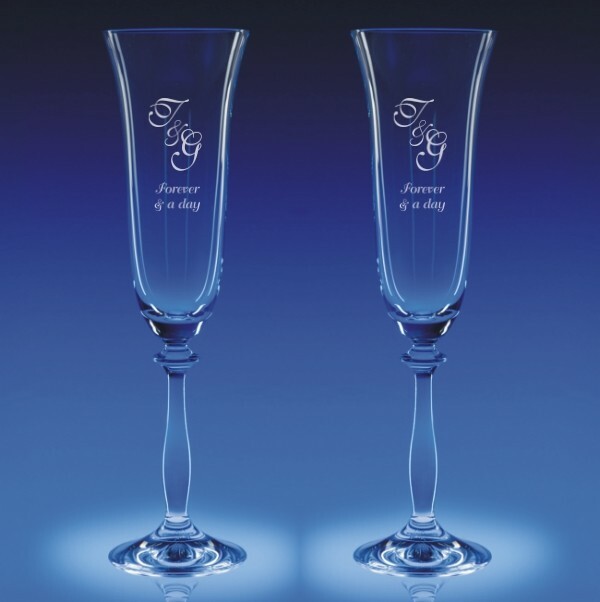 These engraved flutes are a forever-keepsake you’ll both cherish every time you hear that bottle pop! Suggest to sit-back and enjoy a crisp glass before you hit the town February 14! Chef in the house? Instead of venturing out for a steak dinner, make one together. 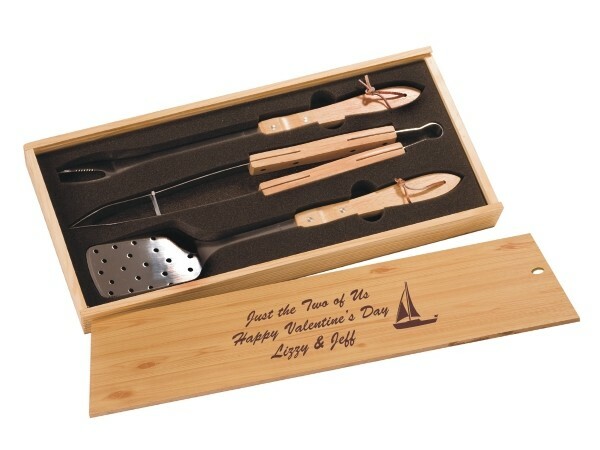 Grill out with a new Engraved Bamboo BBQ Set for the king of your grill. What an intimate date night idea! Test out some microbrews! 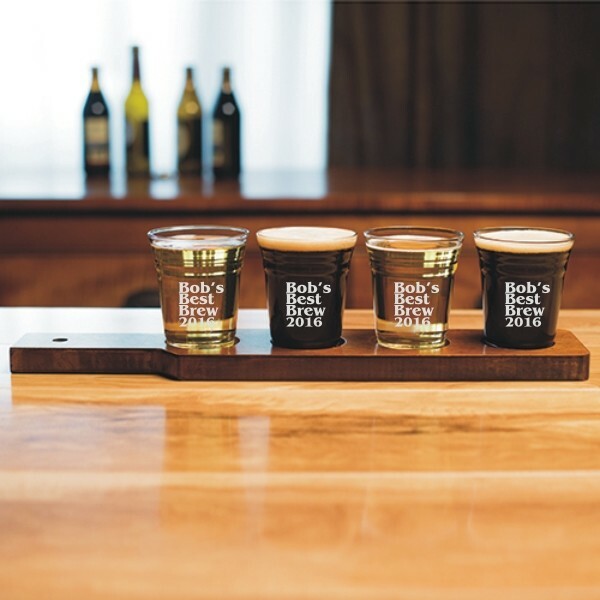 Even if you’re single, these Personalized Beer Tasting Gift Sets will set the foundation for a fun night with friends and family this Valentine’s Day. Who said love is only for couples? Everyone loves beer! Personalized Engraved Gifts are special because they show that you’ve put the time and effort into giving a gift created just for them. Any wine glass, bottle, or simple beer mug takes on extra significance when it is personalized with a quote, design, nickname or reference to a funny antidote that is meaningful to the recipient. Be sure to keep in touch for more great gift ideas.